TRU takes a look at some of the major tournaments that have taken place in the world of rugby sevens over the last month across all levels of the sport. The Wooden Spoon charity edged out the Forces Exiles 19-15 to ensure the 2016 Heineken Kinsale 7s title at the start of May. The Irish Development Women’s Team won the Women’s Trophy and The Lightning Bolts won the Men’s Open for the fourth year running. This was the 28th year of the largest rugby 7s tournament in Ireland and once again it proved to be a huge success with over 70 teams gathering in the small Irish town to enjoy some excellent rugby and soak up the atmosphere over the first May Bank Holiday weekend. Fast-forward to the end of the month where the biggest sporting festival took centre stage on the south coast of England. 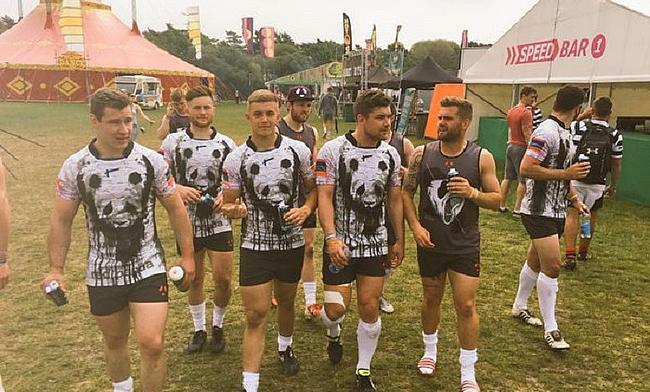 The Bournemouth 7s is arguably the highlight of the 7s calendar for some of the best amateur teams across the country as well as Europe and sure enough it delivered once again on all fronts. Group D winners Apache 7s were the stand out team over the weekend and thoroughly deserved to clinch the National Cup at a sun-kissed Bournemouth Sports Club. Red Panda 7s began their season strongly with three wins from three in Group A on the Saturday, but were halted on the Sunday by a strong St Pauls Pirates outfit who were the eventual runners-up in the overall competition. The main story in the Women’s competition came from Exeter University who triumphed over the weekend following a strong season in the BUCS leagues. As well as this, stars such as Shane Williams and Lewis Moody were present at the event this year which will now already be preparing for their 10th year anniversary in 12 months’ time. Pencil Bournemouth 7s into your diaries for next year and get ready for the Glastonbury of Sport. From South-West England to the capital of the Netherlands where the Amsterdam 7s took place last weekend which saw Kenya Shujaa lose out 34-20 to the Sussies Salon in the final. Kenya, who had stunned the world of sevens after their triumph in Singapore on the HSBC World Rugby sevens circuit, were unable to add to their trophy cabinet. Shujaa had secured their place in the final following victories over Tenclt Rhinos in the quarters and Samurai International in the last four. In between three of the biggest 7s events of the season was another key date in the calendar – Bury St Edmunds Sevens. Their 1st XV side were promoted into National Two South a year ago and put on some excellent performances to finish seventh in the table this term. Those performances seemed to be passed on to the Sevens sides competing in Suffolk and it was the Samurai Barracudas, a specialist sevens team selected by USA 7s coach and Samurai Chairman Mike Friday and coached by former England and New Zealand Rugby League player Henry Paul, that clinched the title. Samurai International, made up of players from the growing rugby nation that is Spain, were narrowly edged out in the Elite Club final. England and Ireland were unable to get past the last four stage, but there was plenty of encouraging signs for Team GB selector for this summer’s Olympics, Simon Amor, to take away with him before their first tournament on July 2nd at Sevens in the City. This year’s HSBC Sevens Series has certainly been a memorable one for many reasons. The success stories of Kenya and Scotland stand out, but back to back title wins for Fiji once agan whoed their class in this format of the game. They claimed their second consecutive crown by reaching the last eight at the 10th and final round of the series in London two weeks ago. Despite losing their first match of the day to hosts England, wins over Wales and Australia made sure they were champions. Jasa Veremaulau was also named the DHL Impact player of the series for Fiji after completing the most offloads in the competition - 69 overall. There were some standout moments in this year’s tournament too. Who remembers Pio Tuwai’s silky skills in the opening round for Fiji or the coolness shown by Argentina’s Bautista Ezcurra when he slotted that drop goal in Cape Town to send his side into the last four after beating New Zealand? In addition to this, with the Rio Olympics been the pinnacle of the Sevens season this term, the lure of a gold medal brought a number of exciting players into the HSBC series this campaign and none more so then double World Cup Winner Sonny Bill Williams. Arguably the most entertaining player in the game, SBW took to the field for New Zealand in Wellington and produced his usual box of tricks. In terms of team performances Fiji, South Africa and New Zealand certainly delivered consistently, but it was the sides that upset the applecart which really took the series by storm. Kenya began the trend with a stunning win in Singapore to clinch their first-ever Cup while Samoa tasted that winning feeling for the first time in four years when they came from behind to beat Fiji in the final in Paris. And the series ended in sensational fashion when Scotland defied all the odds to win in London. They waltzed past hosts England in the quarter-finals before brushing USA to one side to reach the final against a strong South Africa outfit. With a minute left of the game, the Scots were trailing, but two tries in the final 60 seconds saw the game and the series turned on its head as Scotland won 27-26. It was a fitting end to what had been a sensational 10 rounds of rugby and with that in mind, prepare for the best of the world to put on another show in Brazil in just under two months’ time.